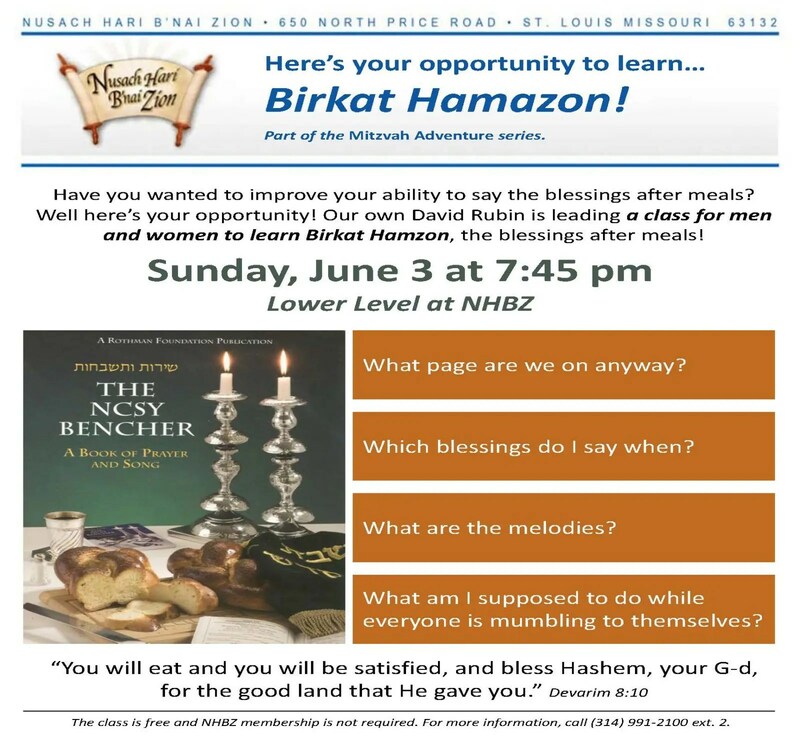 Here’s your opportunity to learn… Birkat Hamazon! Part of the Mitzvah Adventure series. Have you wanted to improve your ability to say the blessings after meals?Well here’s your opportunity! Our own David Rubin is leading a class for men and women to learn Birkat Hamzon, the blessings after meals! Sunday, June 3 at 7:45 pm Lower Level at NHBZ.